Victims of fraud often ask us whether a fraudster can be ordered by a Canadian Court to account for what the fraudster did with their money so that they may attempt to recover it from those who received it. Other times, victims of fraud just want an explanation. Last week an Ontario Court released its decision in 2363523 Ontario Inc. v. Nowack, 2016 ONSC 2518. This case involved a fraudster who was (and still is) determined not to fully account for what he did with his victims’ funds. The result of his defiance was a sentence of 30 days in jail and further orders to account. This blog post reviews the process that led to this result as well as developments in the law of accounting as it applies to fraud cases. Important to fraud victims is information on the difference between a fraudster’s obligation to account and a fraud victim’s right to trace. Often the cost to a fraud victim to engage a forensic accountant to trace his or her money and determine what happened to it is expensive and the answers uncertain. It is the fraudster who knows what he or she did with the victim’s money. This blog makes the important argument that an order that a fraudster account is a standalone fraud victim’s right and should not be commingled with the concept of tracing. In scenarios where a fraud victim’s money has been obtained by way of a breach of trust and/or fiduciary duty (as is often the case in investment scams), the fraud victim should plead for an order for an accounting by the fraudster with respect to all transactions in which the fraudster participated with the victim’s funds. A fraud victim should also plead for an order for tracing the proceeds of any transactions in which the fraudster participated with the victim’s funds. Court orders for accounting and tracing are separate legal concepts. At its simplest, an order to account puts the onus on the fraudster to explain what he did with the victim’s money. How that order is interpreted is one of the issues addressed in the Nowack case and is discussed further below. For example, does the order to account include only the obligation on the fraudster to provide his banking or transaction records, or does it also include an obligation on the fraudster to explain why he transferred the victim’s money to a third party and what the fraudster advised the third party about the transfer? Conversely, an order to trace puts the onus on the fraud victim to follow his or her money through the fraudster’s accounts or, if cash, elsewhere. In tracing, fraud victims have to expend the effort and their litigation funds to find out where their money went, and to determine whether they have a viable claim against a third party who received their money. As will be further discussed in this blog, it is our view that fraud victims should not be put to this expense if a fraudster can be convinced to provide or ordered to provide an accounting. But if a fraudster cannot be convinced to provide or ordered to provide an accounting, it is important to plead this relief. In tandem with pleading for orders to account and orders to support tracing, fraud victims should plead the tort of knowing receipt against Doe defendants. In fraud cases, the victims often do not know to whom the fraudster sent their money. Those third parties should be identified in the claim as Doe defendants who will be named when their identity is revealed as a result of the accounting or tracing process. The test for pleading knowing receipt is more fully discussed in our blog post What Fraud Victims Should Know About the Tort of Dishonest Receipt. When a fraud is discovered, an option open to fraud victims is to bring a motion to trace their funds without providing notice to the fraudster. This is done through what is commonly known as a “Norwich Pharmacal” or “Bankers Trust” application. Norwich applications involve putting the fraudster’s financial institution on notice (but not the fraudster) that the victim is seeking a Court order for the financial institution to disclose to him or her the fraudster’s account transactions at the time of the fraud. The objective is to see where the victim’s money went so that it may be frozen pending trial. Another objective is to identify others who are involved or who received the money. If a fraud victim’s money can be traced through a Norwich order, fraud victims can issue a claim and immediately seek what is commonly referred to as a “Mareva Injunction” to freeze the money in the fraudster’s account without notice to the fraudster. Importantly, additional relief in motions for Mareva injunctions include orders for the fraudster to disclose all of his or her assets, sometimes on a worldwide basis, so that they may be preserved to trial. These orders for disclosure of assets by a fraudster are separate from an order to account, but quite obviously are one step in this process. For further information on freezing a fraudster’s assets, see our blog post What Fraud Victims Should Know About Freezing Mareva Injunctions. In the Nowack case the victims did not undertake pre-action tracing efforts through Norwich applications. Rather, they issued a claim and sought an order for a Mareva Injunction to freeze the funds held in the one account of Nowack into which they knew their money was deposited. The result was that this account was frozen, but this ended up being of little benefit as the money was already gone. Thereafter, the victims immediately sought orders for Nowack to account for their money by way of orders for him to attend for examination and to produce his account transaction records. However, Nowack stubbornly refused to account. Rather than deal with contempt proceedings, the Court ordered a hybrid trial with limited discovery. It was the reasoning of the Court that if Nowack refused to account, it would order judgment against him at an expedited trial for at least the amount that was not accounted for. 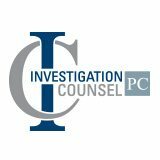 In most fraud cases victims can attempt to fully trace their funds and to seek an accounting through the discovery phase of litigation. Documentary discovery orders can be sought for the fraudster’s bank accounts and transaction documents and during examination for discovery a fraudster can be questioned about where the money went and why. This provides an opportunity to identify those liable for knowing receipt and to obtain evidence against them. In Nowack’s case this did not take place. Nowack’s defence was struck for other reasons. The action proceeded to a default judgment. Nowack refused to give anything more than a bald defence that he was not liable. This led to the next opportunity for a fraud victim to seek an accounting – after judgment is issued. It is the order issued by the Court at Nowack’s default judgment that led to a review of the law of accounting that is the focus of this blog post. In Nowack’s case, partial default judgment was obtained on the basis of the money that Nowack obtained by fraud and declarations that Nowack had breached his fiduciary duties to the victims. It is the judicial declaration that the victims’ money was obtained by fraud and in breach of fiduciary duty that is first part of the test for the tort of knowing receipt. It is also the basis to seek an order against a fraudster to account to a victim as to what he did with his or her money. The wording for an order to account generally follows what was pleaded in the claim. In Nowack’s case the Court ordered Nowack to provide his victims with an accounting of any and all financial transactions completed by him relating to the corporate plaintiff’s money, including (but not limited to) producing bank statements and transaction documents. Nowack did not comply with this order, and the victims brought a motion to have Nowack declared to be in contempt of court. We have discussed the test for obtaining a declaration of contempt in past blog posts. We generally do not encourage contempt proceedings because of the cost – see: What Fraud Victims Should Know About Civil Contempt Proceedings. But as costly as contempt proceedings can be, the cost of victims undertaking their own tracing and forensic accounting of what happened to their money through a myriad of financial transactions can be more cost prohibitive. In our system of civil justice, a fraudster should be required to perform a forensic accounting for his victims, which the victims can then verify as to its accuracy. Some may also believe this is therapeutic from the fraudster, especially for financial sociopaths, to assist them understand the gravamen of their conduct. Often, and more importantly, the victims are seeking the fraudster’s own evidence as to whom the money was sent and the reason why to support their knowing receipt claims against the Doe defendant. Simply knowing that a transfer was made to a certain name is often unhelpful on its own. In our system of civil justice, the reason why the fraudster made the transfer is critical to giving meaning to judgments in fraud. This should be a fraud victim’s basic right. This is discussed further below. The contempt process in Nowack’s case followed the typical course. At the first appearance, instead of hearing a motion to determine liability for contempt, the Court adjourned the motion to give Nowack a second opportunity to comply with the order to account by ordering him to attend for examination and to bring documentation with him (his banking and transaction documents) to account for his victims’ funds. Nowack attended the examination, but did not bring any documents and refused to provide any meaningful answers as to where the money went and why. At the second appearance where the victims sought a judicial declaration of contempt against Nowack, the Court ordered Nowack to take the stand and explain his conduct. Nowack made excuses as to why he did not comply, which the Court ultimately rejected. The Court declared Nowack to be in contempt and ordered a date for sentencing, at the same time advising Nowack that it was in his interest to account to his victims if for no other reason than to purge his contempt to mitigate against the consequence of being declared in contempt. The third appearance was the sentencing phase. Nowack waited until the eve of the sentencing hearing before he produced a CD with a plethora of bank statements and transaction documents. The Court adjourned Nowack’s sentencing to provide him a further opportunity to purge his contempt by accounting to the victims as to what he did with their money, and suggested that he write out his accounting with reference to the bank statements and transaction documents he was producing. On the eve of his fourth appearance, Nowack produced a two-page document with various numbers on it, but without a written explanation or supporting documents. Nowack was examined on it. His explanation defied common sense. Nowack also refused to disclose to whom he had transferred the victims’ funds when examined on his bank accounts. Nowack’s accounting was essentially meaningless, and his written accounting likely contrived. The efforts to improve fraud victims’ rights for an accounting continue to evolve. This Nowack action furthered the right of fraud victims to have a fraudster account for money transferred to third parties. However, it does not go far enough. It should extend to requiring the fraudster to explain both the reasons for the transfer to the third party as well as what the third party was told about the source and legitimacy of funds for evidence that would be put a reasonable person on notice. Where the defendant, as in the present case, has been found at fault and has been ordered to account, that obligation to account rests without reservation entirely on him. There exists no onus whatsoever in this respect on the owner of the property. The judgment obliges the defendant to account for the full amount of all revenue received from the use of the property. Negligent or wilful failure to declare any such amounts might well render the infringer guilty of contempt of court. The amount so declared becomes payable to the rightful owner of the property. The Nowack case does not go far enough. The Court in Nowack made comments that the corporate plaintiff, for less expense than a contempt motion, could trace its funds with the fraudster’s authorizations for access to his accounts. Some victims want more than authorizations. They want explanations and evidence from the fraudster. Such comments belittle the rights of fraud victims. Further, in the Nowack case, the cost of a forensic accounting may well be greater than the contempt process, especially when if the fraudster has his bank statements and transaction documents. To be clear, fraud victims are entitled to a judgment for damages, interest and costs. Fraud victims should also be entitled to have a fraudster account for their money – or risk incarceration through a contempt motion until he or she accounts. Any suggestion that the onus should be on a fraud victim to trace provides incentive for others engage in the conduct of Nowack – fraud, breach of trust and transfers to others – and then contempt when an explanation is sought. Fraud victims should be aware that sometimes comments find their way into judgments which are unrelated to the motion before the Court. In Nowack, the only motion before the Court was to have the fraudster declared in contempt for his refusal to account. It is the fraud victim’s right to limit his or her motion to the relief of accounting. There was no motion by the victims for documents so it could perform its own tracing. It is the fraud victim’s right not to seek a tracing order until accounting by a fraudster is exhausted. It is the fraud victim’s right to conduct his or her case the way they deem appropriate. The order for an accounting and a contempt declaration should be a fraud victim’s standalone right. Next post: Why Google, Facebook, Yahoo Oppose Expansion of FBI Surveillance Powers?